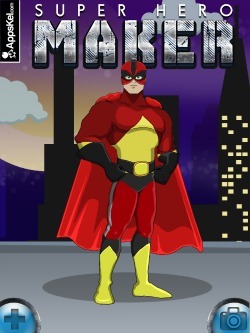 Click here to download Super Hero Maker for iOS devices Now! Have you ever wished to become a legend? Have you ever dreamed to fly high in the skies and rest in the clouds? Run faster than your eyes can follow and watch tiny droplets of rain move in slow motion? Visions that can melt steel, firing out laser beams? Hopes of becoming a superhero stuck in a dream? Then dream no longer, create your own superhero and save the world while looking good! 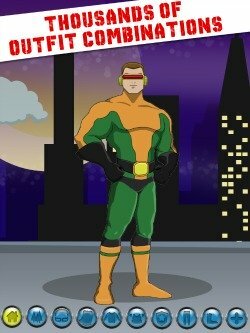 Super Hero Maker is dress-up game that lets you create your very own personal superhero. Make him look the strongest and fiercest by choosing bold and dashing colors. Add some splash of colors and ingenious design to create a strong and attractive superhero! Find a logo that will truly represent what your dream superhero should have. From head protection to super accessories, to flowing capes and tight hot pants! Prepare your superhero suit, and don’t forget to add a glamorous boot! and create the legend you’ve always wanted to be! A superhero can be anything: fast and strong, dashing and powerful, charming and valiant, and most of all unforgettable and legendary! 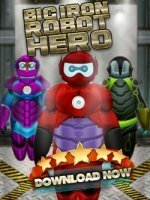 The only dress-up game that is overpowered with fearsome costumes, mighty classic capes and the one that can create real superheroes! Who do you think will be strongest? 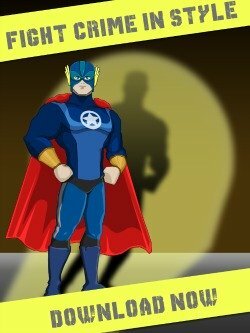 Will your superhero powers defeat the sinisters of evil? Dress-up, suit-up, cape on, and fly! Let the journey of your legendary superhero begin by letting the world know of the awesomeness it can do! 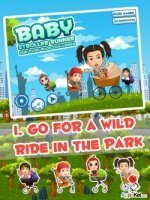 Superhero maker will do everything for you!